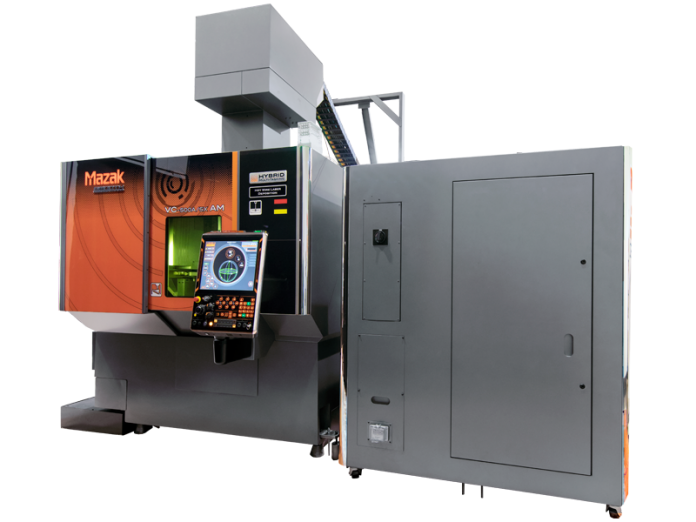 The machine’s HOT WIRE head has the same 5-axis capability as its milling spindle, which provides the maneuverability to build new part features or weldments on all of a workpiece’s surfaces. 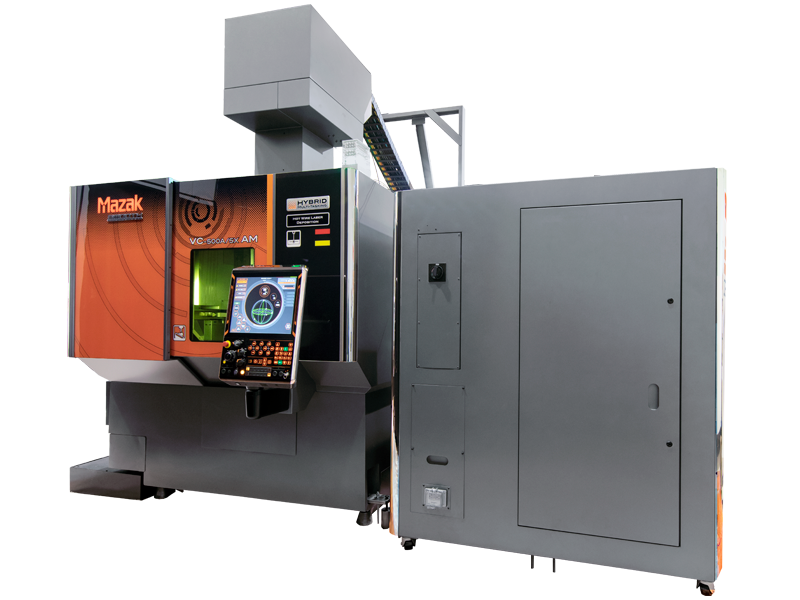 It is well suited for high-volume additive manufacturing and helps minimize equipment and material costs. On its milling side, the VC-500A/5X AM HWD comes standard equipped with a robust, high-performance CAT-40, 12,000-rpm spindle that delivers exceptional metal removal capabilities in all common materials, including steel, aluminum and cast iron. Optional speeds of 15,000 rpm and 20,000 rpm are available to address a variety of part production requirements. An ample 30-tool storage magazine ensures continuous uninterrupted part machining, as does the machine’s compact chip conveyor and mist collector with smoke filter.